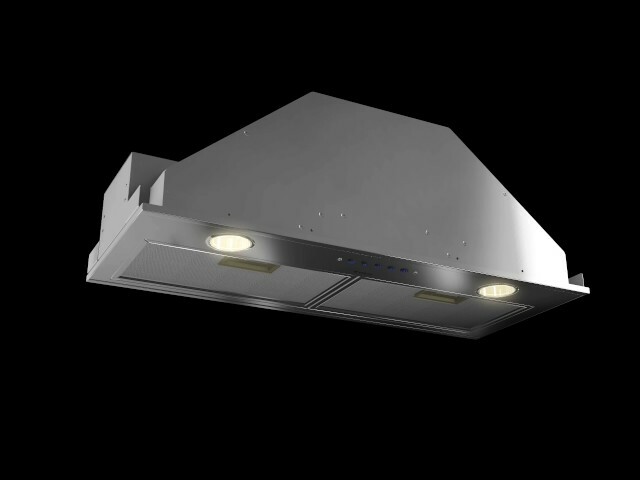 Asti is designed for discreet mounting inside cabinetry,fits perfectly into 12" deep cabinetry and is ideal for kitchens where space is limited, or where the range hood needs to be out of sight. Available in 22" and 28" sizes. Asti comes equipped with a powerful 400 CFM blower that can handle most of cooking needs. Convenient Backlit Electronic Push Button Controls operate the 3 speed blower and LED lighting, while dishwasher-safe anodized aluminum mesh filters offer easy maintenance. Asti is designed for standard ducted or recirculating installation (with kit sold separately).